Just when I’d started to get the grasp of gluten free baking, I discovered that I am intolerant to eggs and lactose. At first, I didn’t panic. 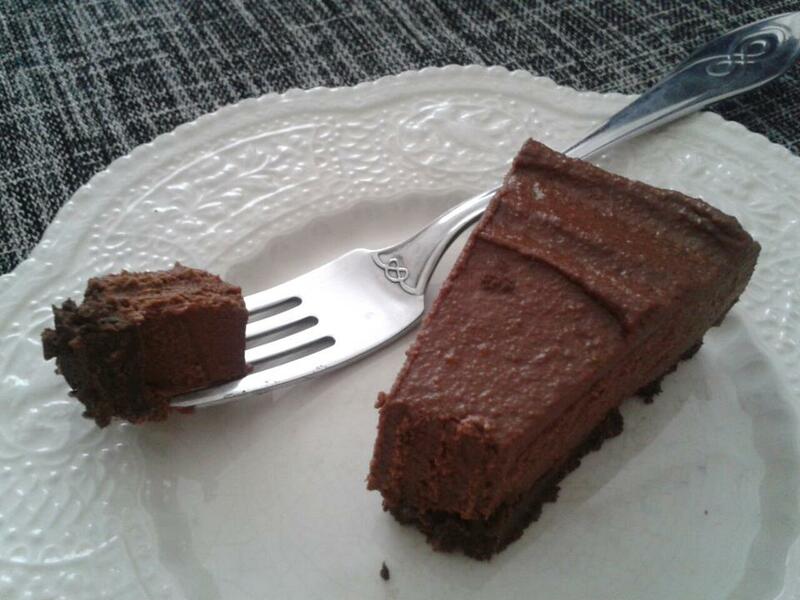 ‘I don’t eat that much cake anyway’ I told myself. But afterwards I realised; no cream cheese, no mascarpone, no double cream and no milk chocolate! So I had to get really crafty. Luckily a quick internet search revealed an untapped source of free-from recipes. The world of veganism. With further tweaking (substituting wheat flour with gluten free flour) you can turn a vegan recipe into a lactose, egg and gluten free recipe. Blend or crush the biscuits, add the cocoa powder and marg and continue to blend/mix until completely mixed together. The mixture with start to clump together. Put the mixture into a well greased spring form tin or flan dish. 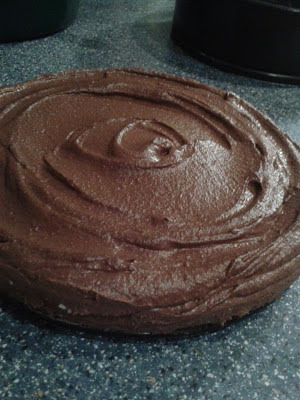 Squish down with your fingers until you have covered the whole base but be careful not to compress the mixture too tightly or it will be impossible to slice when you want to eat it! Put in the fridge while you prepare the 'filling'. Put the cashews in a bowl and cover with cold water. Soak overnight. The next day, empty out the water and rinse 2 or 3 times with cold water. Put the cashews in a blender and blitz into small pieces. Slowly add the cream and then the honey. Then add the cocoa and the melted chocolate. Keep blending until the mixture is smooth (this can take up to 15 minutes. Be patient - it's all worth it!) I use a smoothie maker for this part as you get a smoother result. Pour the mixture onto the biscuit base and spread out evenly. Serve with a dusting of cocoa powder or grated dark chocolate. N.B. This is so calorific but full of good fats and vitamins, rather than animal fats and such. Keep telling yourself this and try to refrain from making orgasmic noises while you eat.